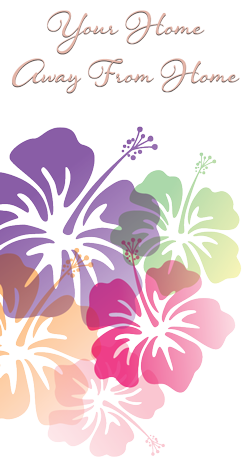 Located in the heart of Waimea, participants at Ho’oNani Day Center enjoy watching the changing scenes of Mauna Kea and community activities in the park. 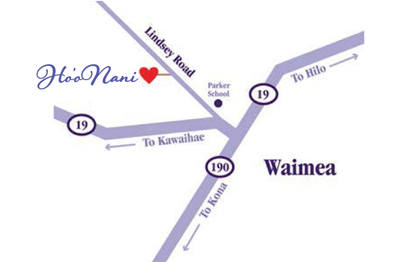 Ho’oNani Day Center is also just over one mile from the famed North Hawaii Community Hospital. This hospital has received local and national recognition, including #1 in HMSA’s Hospital Quality and Service Recognition Program. *Holiday Hours of 9:00 a.m. to 5:00 p.m. are in effect on Memorial Day, Independence Day, Labor Day, Discoverer’s Day, Halloween, Christmas Eve and New Year’s Eve. In Waimea, turn onto Lindsey Road, past Parker School and turn left into the gravel driveway that runs along the back fence line of Waimea Park.